Johnhenry Holmes has taken an interest in Tom Wills for many years. During this time he has compiled a bibliography of items relating to Tom Wills. Paddy Grindlay – who has been our W.K. Trewick Scholar (thanks in part to Chris Bracher’s generous donation) spent a recent week compiling it in this post. (Thanks Paddy). We hope to have another Tom Wills Dinner in the lead up to the forthcoming Ashes series. A great gallery of photos from the Derby book launch in WA. Dennis Cometti and all. Les Everett brings us the latest from round 7 of the WAFL. 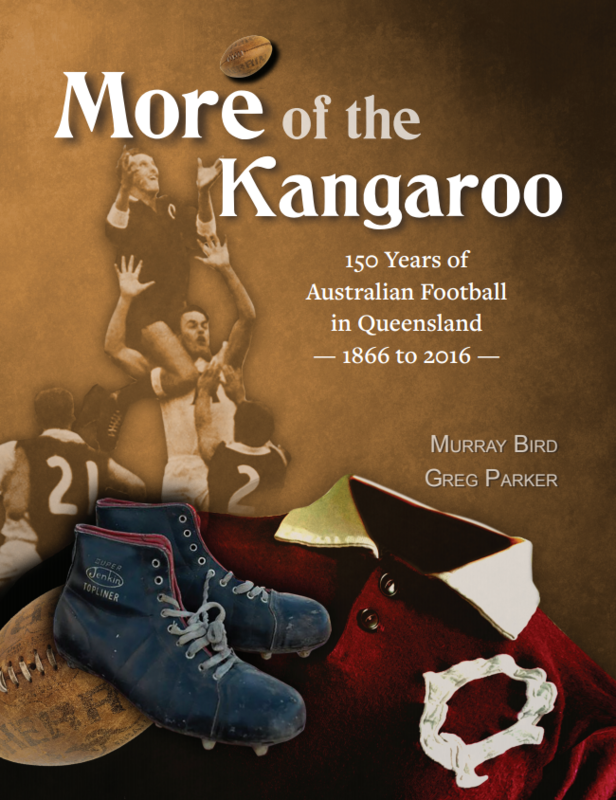 A new book that captures the spirit of the West Australian Derby is having a launch hosted by Dennis Cometti. The Football Research Collective deals in matters to do with scholarly, humanities-based, football research. Here is their latest irregular correspondence via Rob Hess. 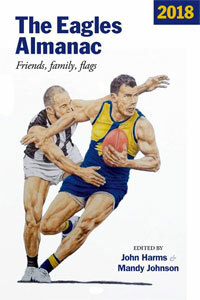 Buy one of the books on offer and get a copy of The Footy Almanac for free. 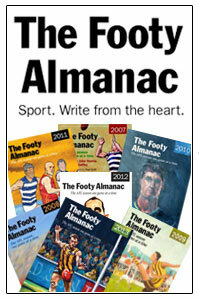 Or for a short time you can get three Footy Almanacs (any editions) for $40. The Biggest Game in Town: An analysis of the AFL’s vilification policy, aside from being beautifully written, is a work of serious research and importance. I encourage you to read this extract and purchase a copy. Last week saw the launch of an important book; a book of research into individual and cultural understandings and behaviours around vilification. Copies are NOW available. The Almanac’s first AFL-star / canine correspondent reports in on the WA 2015 Footy Almanac gathering. Does Peter_B taste like chicken or eagle? Yvette Wroby’s season-long journey following St Kilda winds up in Perth, where she discovers passionate Sainters are everywhere. During last year we featured a series on old woollen footy jumpers and called for nominations for the very best team of footballers to have had an association with wool. We’re about to refine the process. We need more noms right now. And to help make sure we get all the best names I am heading to the Wool BBQ at Burra next Monday night. Details are in this article. Peter Baulderstone surveys the 2014 Knacker writing season. What team of writers came out on top for the (time honoured) Knacker Premiership flag? 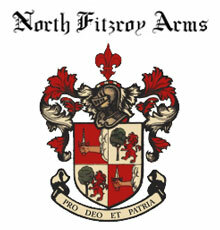 What does our writing say about our club? And how does our team shape our writing? Peter Baulderstone invites all Perth Knackers (authors; website writers; readers and hangers-on) for beer; barbie and buying LOTS of Almanac 2015 books on Wednesday 10 December. Xmas Truce – Hostilities Suspended. DKerr sends his apologies this year. All titles 20% off until September 7. Have you got a young boy, or girl, or know a Hawthorn supporter who is struggling with their reading. The Footy Almanac is perfect to get them on track. 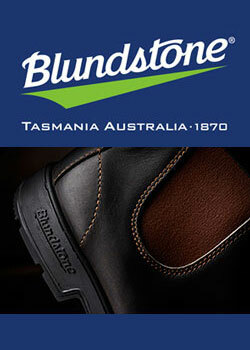 The Footy Almanac 2013 is out now. The Forewords and Grand Final essays always generate comment. Here’s a list of the writers and their topics.